This is traditional shiny white and blue confetti with individual blue dummies so a little different for your Baby Shower party table. 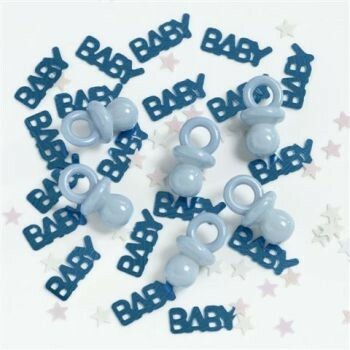 After the party you could tie the dummies onto baby gifts. Confetti always adds those finishing touches to any party.